Google created the PhD Fellowship Program to recognize and support outstanding graduate students doing exceptional research in Computer Science and related disciplines. This program provides a unique opportunity for students pursuing a graduate degree in Computer Science (or related field) who seek to influence the future of technology. Now in its tenth year, our Fellowships have helped support close to 400 graduate students globally in Australia, China and East Asia, India, North America, Europe, the Middle East and Africa, the most recent region to award Google Fellowships. 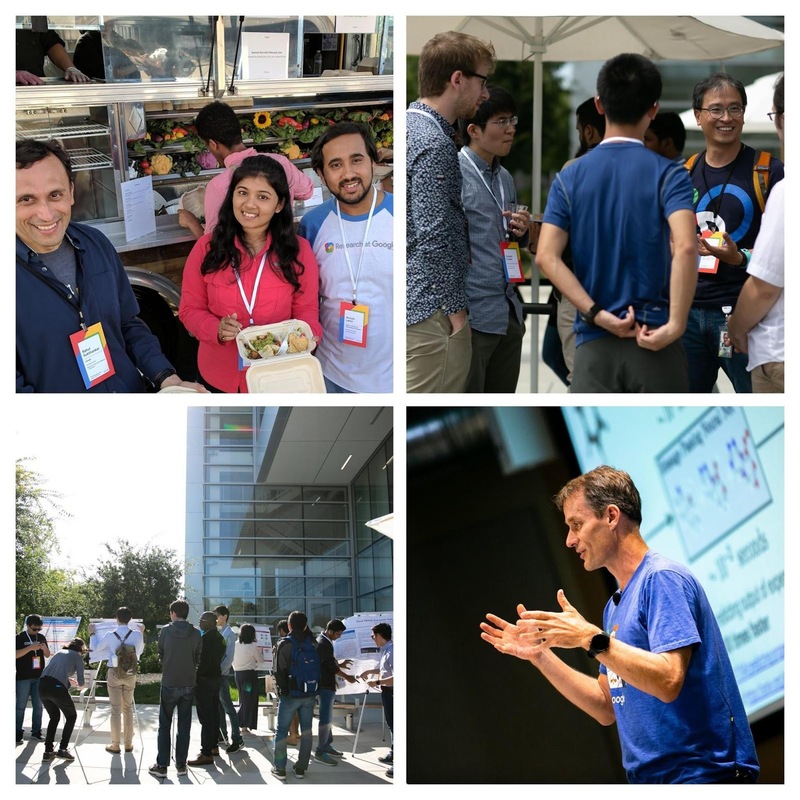 Every year, Google PhD Fellows are invited to our global PhD Fellowship Summit where they are exposed to state-of-the-art research pursued across Google, and are given the opportunity to network with Google’s research community as well as other PhD Fellows from around the world. Below we share some highlights from our most recent summit, and also announce the newest recipients. 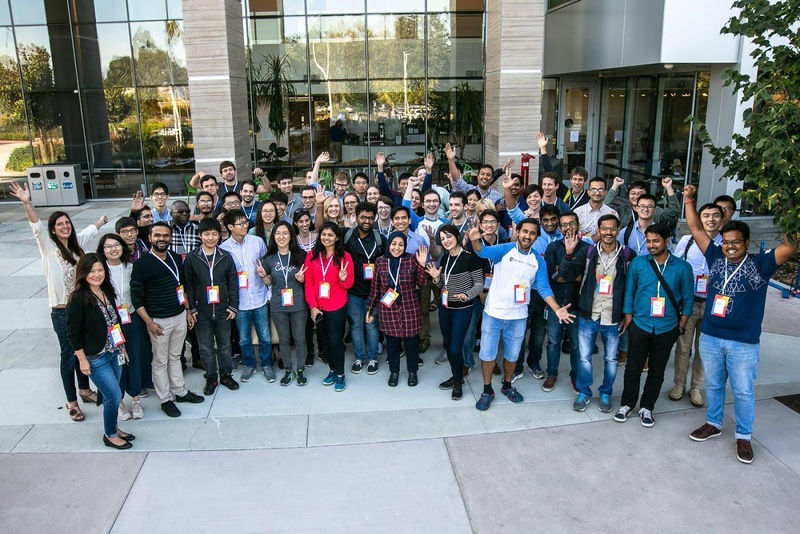 At this year’s annual Global PhD Fellowship Summit, Fellows from around the world converged on our Mountain View campus for two days of talks, focused discussions, sharing research work, and networking. VP of Education and University Programs Maggie Johnson welcomed the Fellows and presented Google's approach to research and its various outreach efforts that encourage collaboration with academia. The agenda also included talks on a range of topics, starting with an opening keynote from Principal Scientist Maya Gupta on controlling machine learning models with constraints and goals to make them do what you want, followed by researchers Andrew Tomkins, Rahul Sukthankar, Sai Teja Peddinti, Amin Vahdat, Martin Stumpe, Ed Chi and Ciera Jaspan giving talks from a variety of research perspectives. A closing presentation was given by Jeff Dean, Senior Fellow and SVP of Google AI, who spoke about using deep learning to solve a variety of challenging research problems at Google. Starting clockwise from top left: Researchers Rahul Sukthankar and Ed Chi talking with Fellow attendees; Jeff Dean delivering the closing talk; Poster session in full swing. Fellows had the chance to connect with each other and Google researchers to discuss their work during a poster event, as well as receive feedback from leaders in their fields in smaller deep dives. A panel discussion comprised of Fellow alumni, 2 from academia and 2 from Google, provided both perspectives on career paths. Google Fellows attending the 2018 PhD Fellowship Summit.